With Style Tricks, I will share some tips and tricks to prevent you from bad buys in the future. We all have those days where we don't feel our best (body-wise), but the right clothes can fight this feeling. An easy way to shred some pounds in no time, without dieting or exercising, is wearing a Chevron pattern. A Chevron pattern has the shape of a V or an inverted V.
The great thing about this pattern is, it creates an optical illusion. The V pattern draws the attention to the center of your body. With the focus on the peak of the V in the middle of your body, you instantly look much leaner. It also gives you an hourglass figure even if you don't have one. 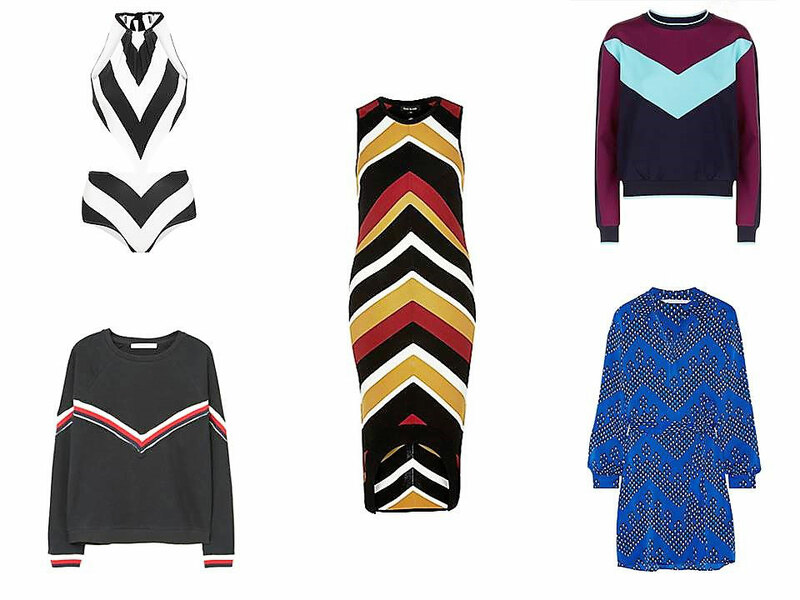 Here are some examples of clothing with a Chevron pattern. Tip: It does not always have to be an actual V. Embroidery, different textiles, embellishments, just every pattern that forms a chevron has the same effect. So if you have one of those days where you don't feel your best (body-wise), put on a Chevron piece. Let me know what you think about my new series in the comments down below. Super Idee, vielen Dank! Ich habe gelesen, dass auch ein Fledermausärmel schlanker machen kann, ist das richtig? Um deine Frage zu beantworten, Fledermausärmel sind gut um kräftigere Oberarme schlanker wirken zu lassen, da das Volumen optisch weiter nach unten verlagert wird.